AC Milan is preparing a massive €6 million-a-year contract to tempt Antonio Conte back into management, according to the Daily Mirror. The former Chelsea, Juventus, and Italy manager is seen as the ideal person to help bring back an identity at the San Siro and restore the club's former glory. Conte was sacked unceremoniously by Chelsea this summer after two years in charge of the London club. The Italian had reported back to Stamford Bridge for preseason training before he was axed and replaced by Maurizio Sarri in July. The nature of his dismissal led to Conte proclaiming himself "disgusted" at how the club treated him and has led to an ongoing court case regarding compensation for his early departure. 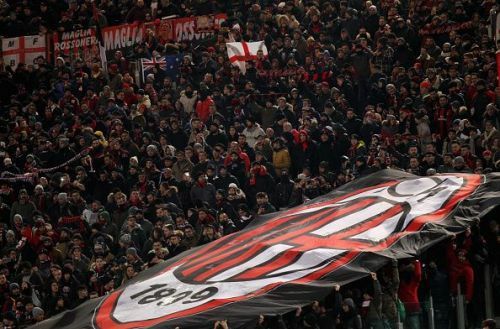 Meanwhile, AC Milan has struggled badly in recent years, chopping and changing through both owners and managers. However, this summer's takeover by Elliot Advisors Limited and appointment of Paolo Scraoni as the new chairman has ushered in a new era at the club. Elliot has clearly stated his ambitions for the club and promised to inject cash to help Milan reach the pinnacle of world football again. Current AC Milan manager, Gennaro Gattuso, has only spent a few months at the club having taken over in April from the sacked Vincenzo Montella. Despite leading the club to a sixth place finish in Serie A last season, Gattuso's inexperience in managing at the highest level is thought to concern the upper management at Milan, with Conte being the favored replacement. However, matters are complicated by Conte's legal battle with Chelsea and this will need to be resolved before Milan can make an official approach for the former Premier League and Serie A winner. There is little doubt that Milan would love to get Conte in before the start of the Italian season on August 19th. If Conte can resolve his issues with former employers Chelsea, we could well see him in the San Siro dugout for the beginning of the season. The reported offer of €6 million-a-year would make Conte one of the best-paid managers in world football. His current legal fight with Chelsea is for a reported €10 million and may be worth ceasing so he can return to management sooner rather than later. We will have to wait and see if Conte can resolve or turn away from his issues with Chelsea before Milan lose interest.